A memoir of a city, an industry, and a dynasty in decline, and the story of a young artist’s struggle to find her way out of the ruins. ...the economic story of Detroit and the Stroh business, while interesting, is not as compelling a read as Frances Stroh’s memoir of her family’s contorted emotional life ... In a kind of social voyeurism, France Stroh’s memoir is our lens through which we observe the devastating and centrifugal forces in her family ... Frances Stroh’s family memoir, a frequently perceptive and almost redolent novel of manners, is at its core her psychological journey toward healing and a purposeful life. Beer Money reflects a quite honest, non-self-indulgent telling of the facts of the author’s family life. Not surprisingly, Stroh’s most powerful subject is her family ... In 1999, Stroh’s was sold to Pabst and Miller, having lost hundreds of millions of dollars. The blood-red trucks vanished from Detroit’s ravaged landscape. A decade later, Eric Stroh died alone. But the haunting photographs he took punctuate these pages, along with his daughter’s work — art emerging from the wreckage. Stroh’s absorbing memoir suggests that most cocoons are permeable and that privilege is relative ... The book offers an ambivalent understanding of a complicated birthright, and none of its drama feels like an airing of dirty laundry. Unfortunately, Stroh’s sensitivity falters when she harnesses the family history to a romanticized, cliché-laden narrative of the neighboring city’s deterioration. 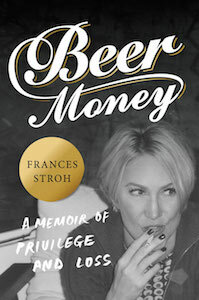 What did you think of Beer Money: A Memoir of Privilege and Loss?